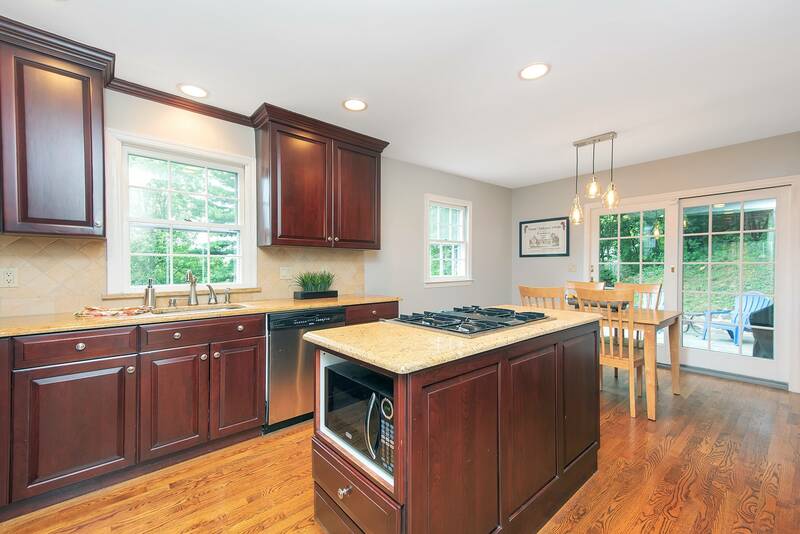 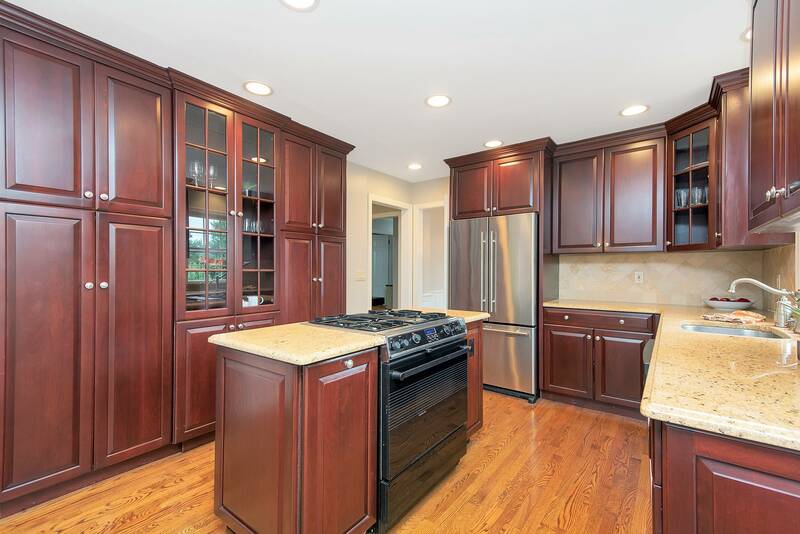 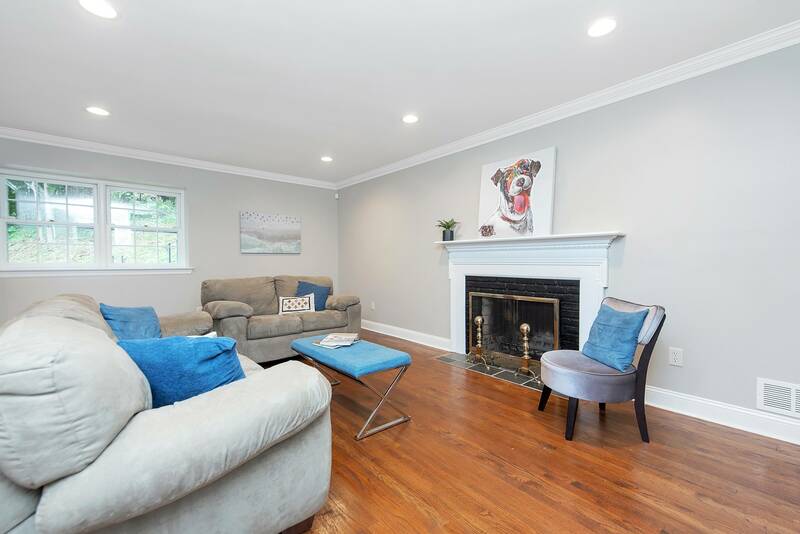 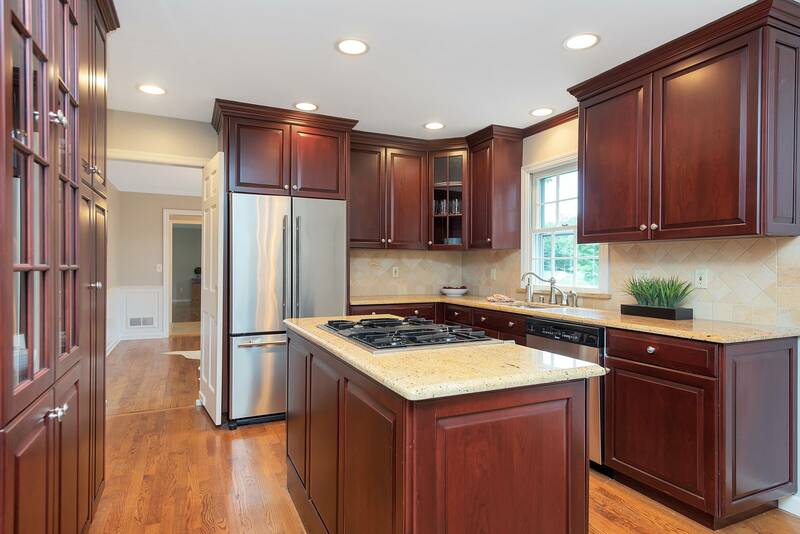 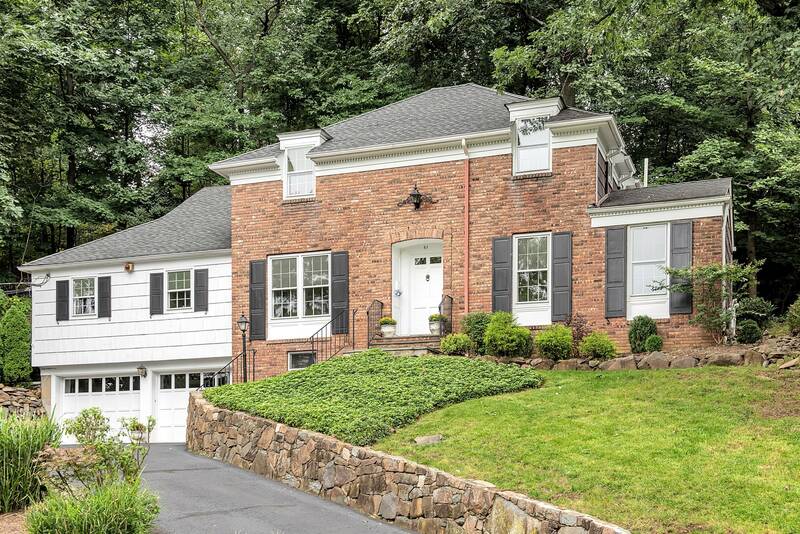 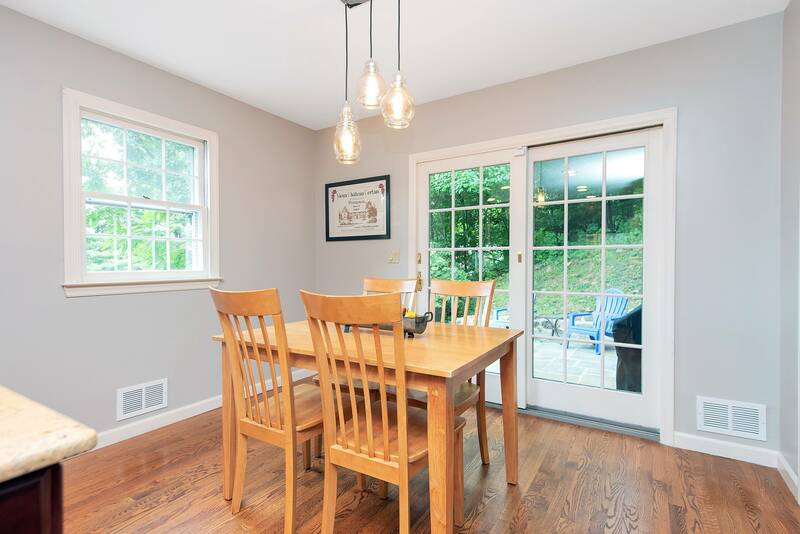 Located in the coveted Franklin School district, this turnkey four-bedroom, two-and-a-half bath Center Hall Colonial offers serene privacy. 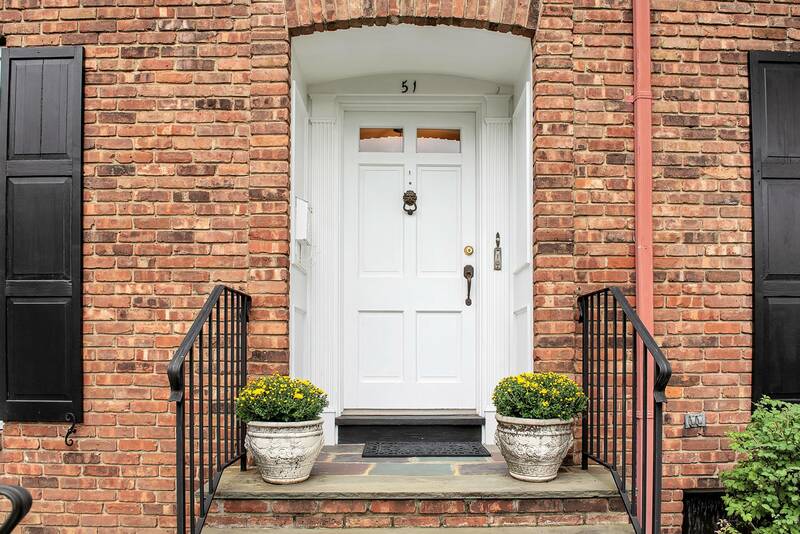 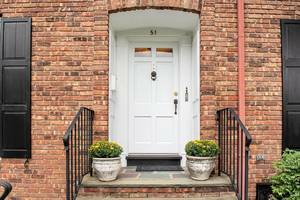 Outside, the home’s classic brick front design exudes curb appeal. 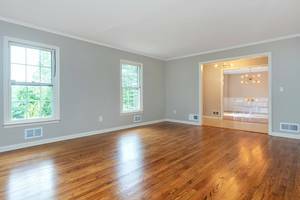 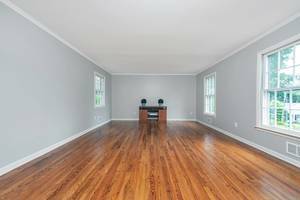 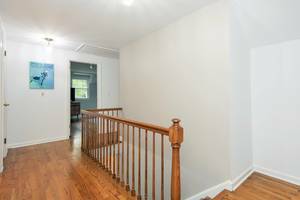 Inside, it has a neutral color palette, beautiful views, gleaming hardwood floors and excellent opportunities for expansion. 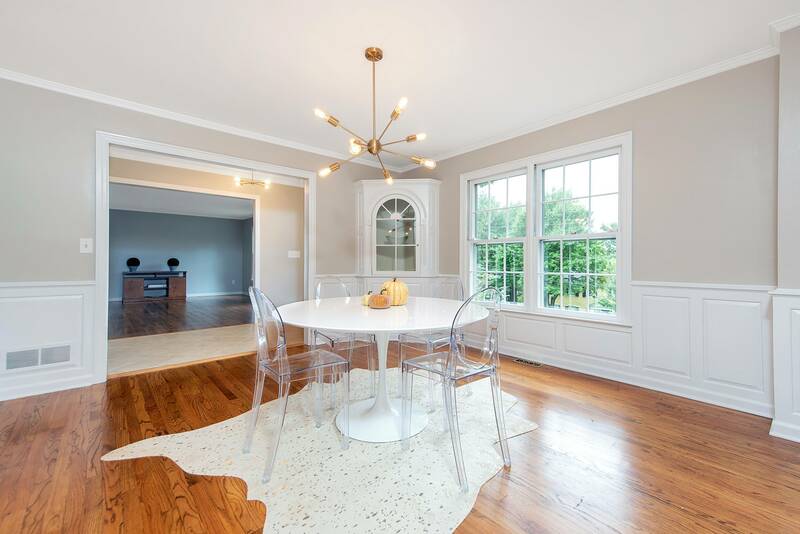 Guests step into a generous foyer, which is flanked by the dining and living rooms. 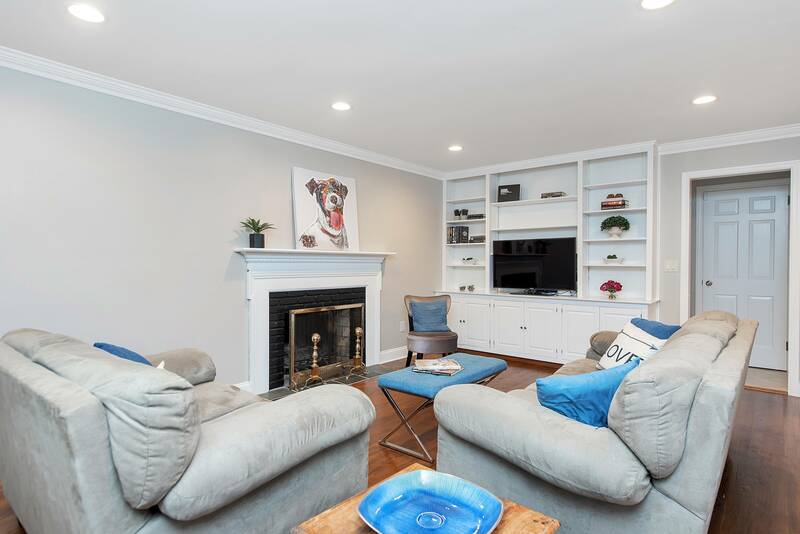 The ample living room offers plenty of space for entertaining. 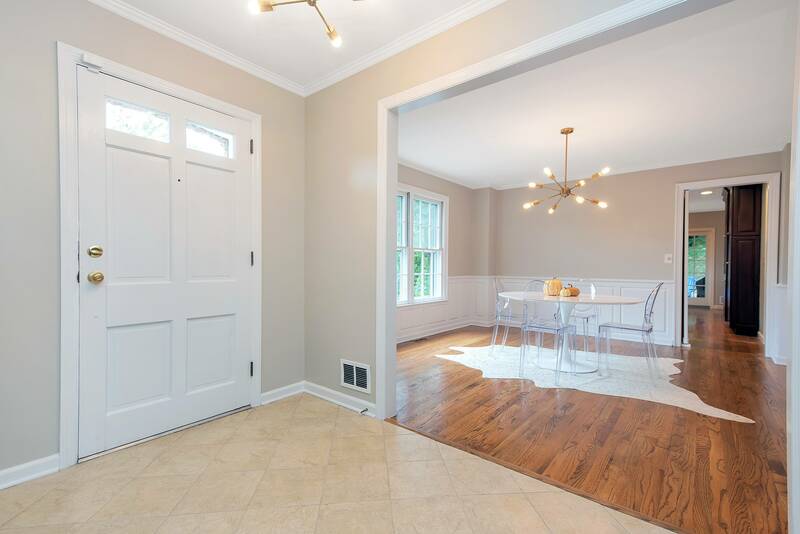 The dining room features wainscotting in a fresh white tone and a built-in corner cabinet. It can easily accommodate a large table. 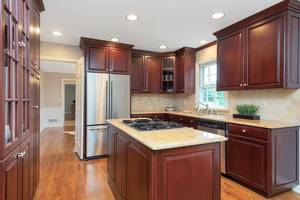 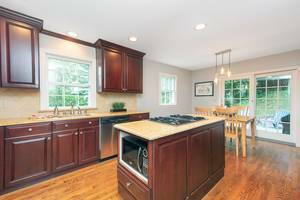 Just next door, the updated, eat-in kitchen boasts stainless steel appliances, granite counters, recessed lighting and a center island. 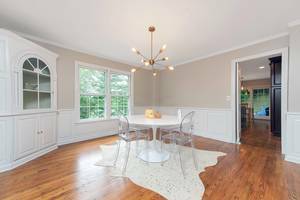 The breakfast area is ideal for casual dining. 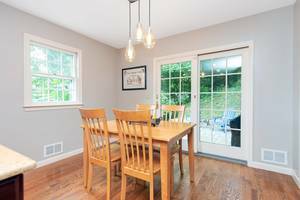 A French door offers access to the home’s serene patio. 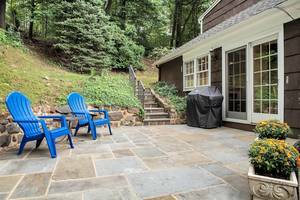 Surrounded by mature trees, it is the perfect place to relax outdoors or entertain guests. 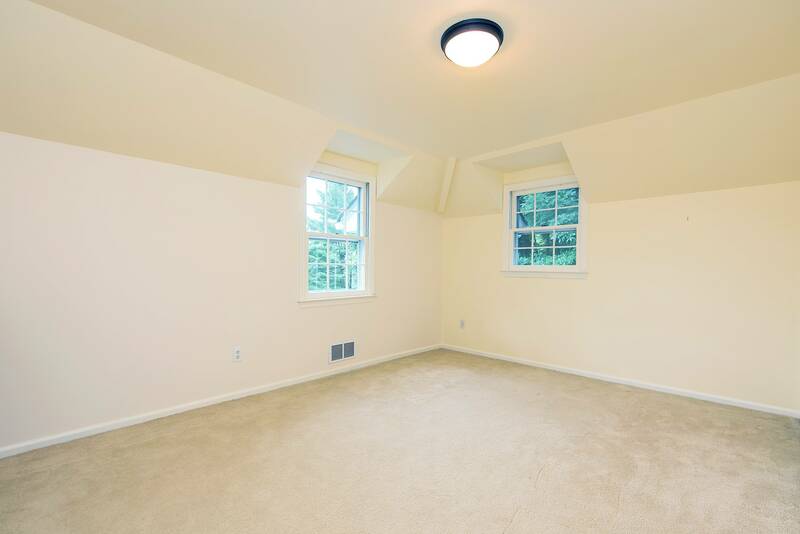 Back inside, the large family room features built-in bookcases with plenty of storage and large windows. A fireplace anchors the seating area. 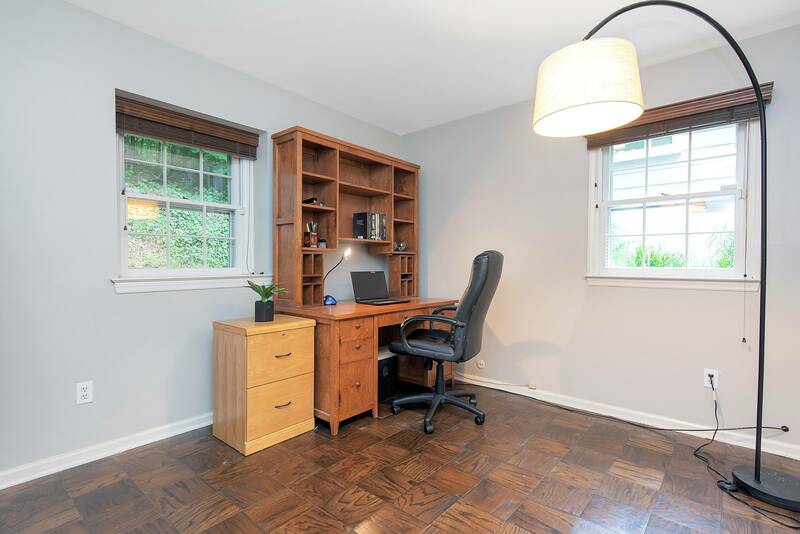 Just down the hall, a flexible room offers the perfect space for an additional bedroom or home office. 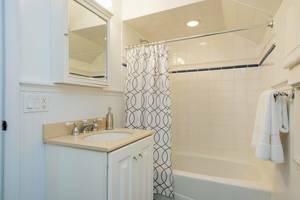 A powder room and first floor laundry room complete the level. Hardwood floors continue in the home’s upper level. 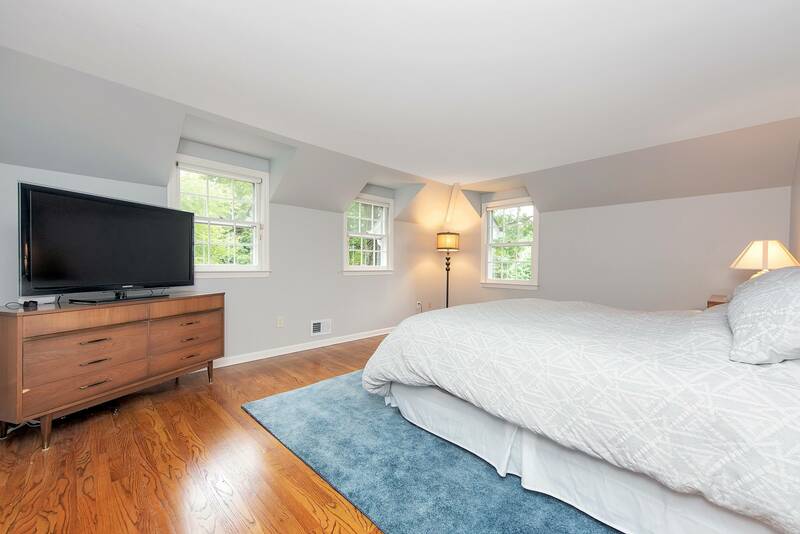 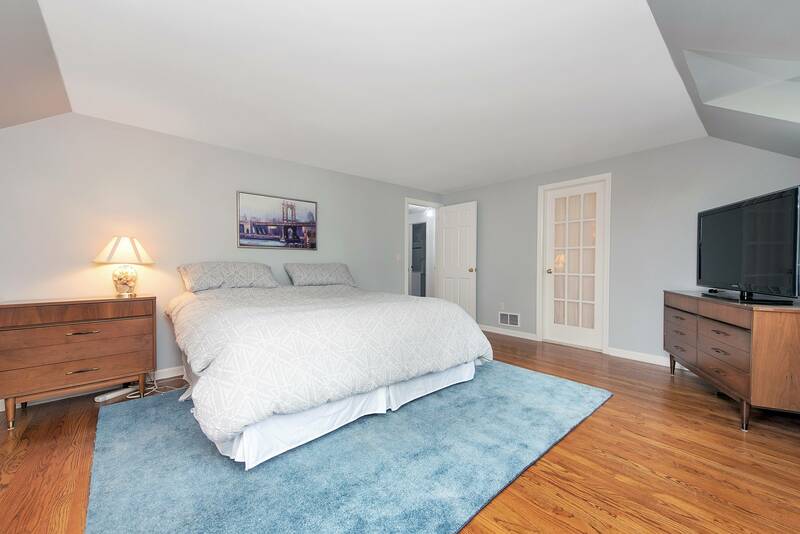 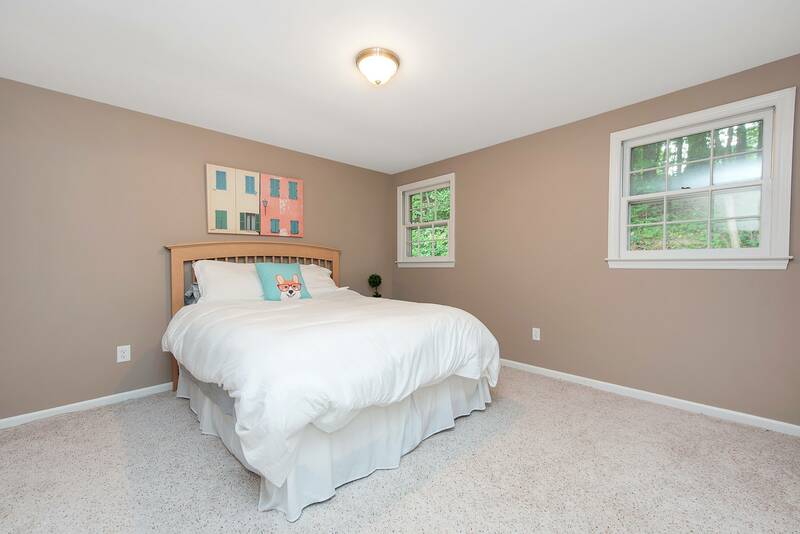 The spacious master bedroom features a walk-in closet. 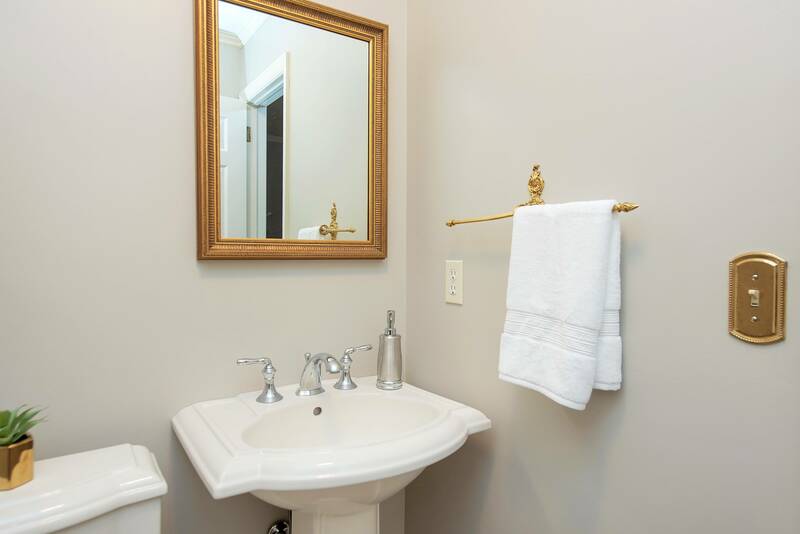 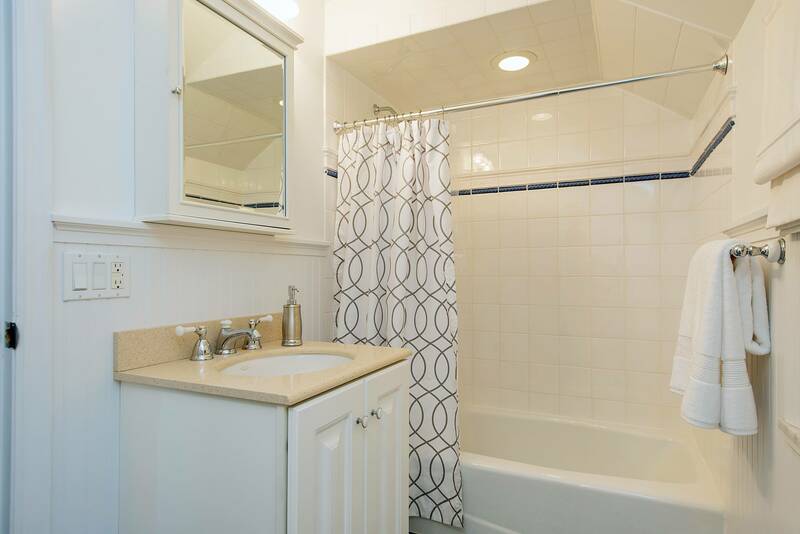 The updated master bathroom includes dual sinks, a large walk-in shower and convenient linen cabinet. 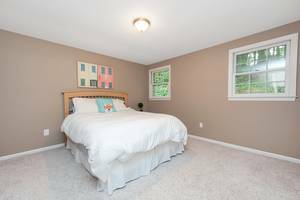 There are also two good-sized bedrooms on the level. A large storage room could easily be converted into an additional bedroom. 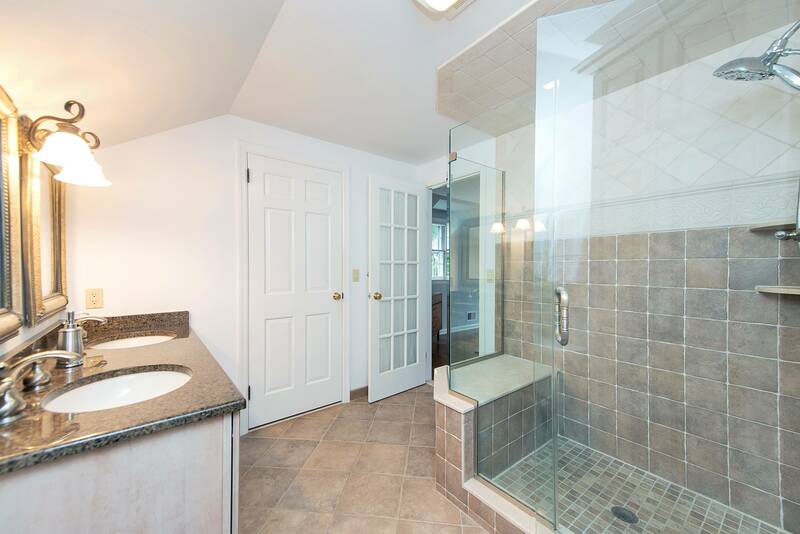 A fresh hall bath rounds out the level. The home’s spacious Lower Level offers high ceilings and can easily be finished. It has access to the large two-car garage.